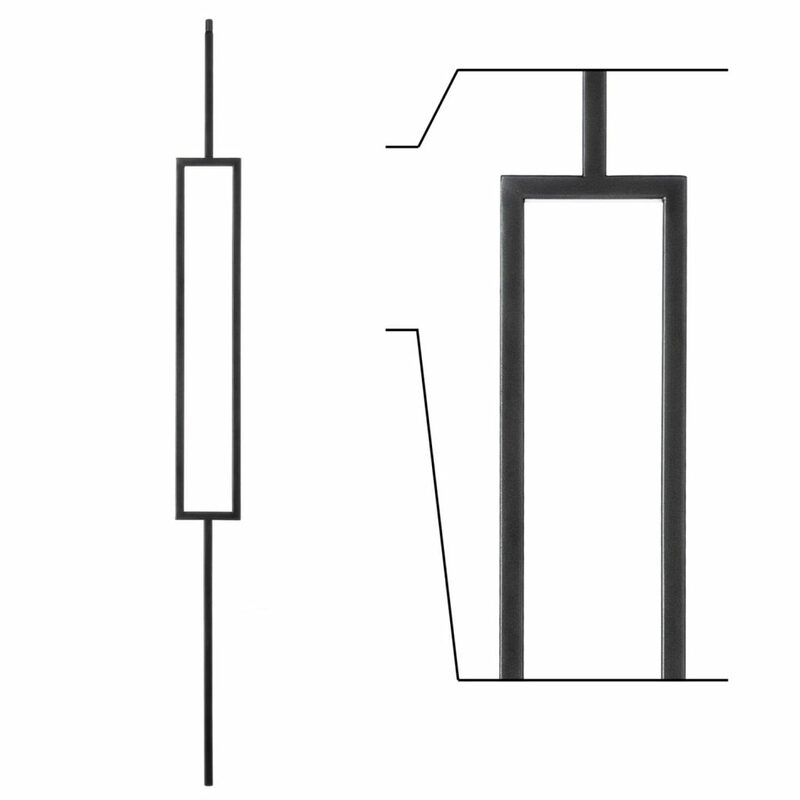 The above products are recommended for installation or mounting of the 16.6.3 Single Rectangle Iron Baluster. I plan to use these horizontally in a mid-century bannister. I need the exact length for the two ends so I may cut them down. I need the rectangle to be spaced evenly inside an approx. 30″ width. Thank you for your question, Mary Ellen. The total height of the baluster is 44″ untrimmed. The rectangle starts 15 1/4″ from the bottom. The rectangle itself is 20 3/4″ tall by 3 3/4″ wide. The baluster length above the rectangle is 8″. Please let us know if you need any further information. Unfortunately, we don’t have any pictures of this particular baluster. While these balusters do have a powder coat on them, they are not designed for exterior use, and so we do not recommend them for outdoor applications. Please let us know if you have any additional questions. in order to have the rectangular section centered between the top handrail and the bottom, can the rod above the rectangle be trimmed as well as the piece below the rectangle? We only recommend cutting the bottom section of your baluster. 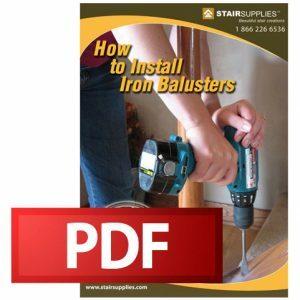 For more information, take a look at our Iron Baluster Installation Guide. To install in within code of 4 inches apart, how do you measure this? I believe the hole on top cannot be more than 6 inches, but this is at 8 inches – meaning the middle rectangle starts down 8 inches. I’m confused how I should install this. please advise. The 4″ sphere rule we reference is common to most building code. It stipulates that a 4″ sphere (usually one the size of a softball) cannot be passed through any gap in a railing system upon inspection. 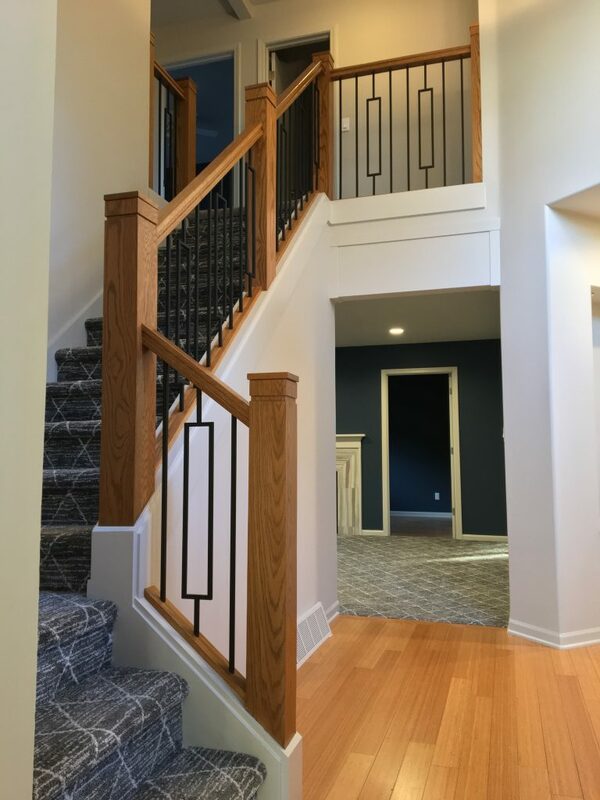 If you want more information about installing these balusters, we recommend taking a look at our Iron Baluster Installation Guide. If you can’t find what you’re looking for in the guide, give our team a call at 1 (866) 226-6536 – we’d be happy to help!